OPEC, again led by Saudi Arabia, decided to maintain its oil production limits at 30 million barrels a day rather than change a strategy that the cartel believes has been working to regain market share from shale drillers in the United States. That meeting at the group’s Vienna headquarters was preceded by pleas from OPEC members such as Iran and Venezuela, which argued that they could not afford to sell oil at depressed prices. 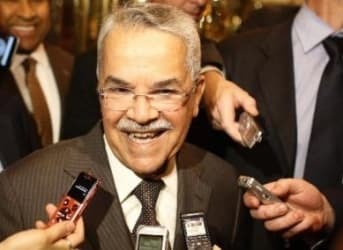 But Saudi Oil Minister Ali al-Naimi, the architect of the cartel’s strategy, prevailed. At the June 5 meeting, though, al-Naimi said the mood was less contentious. “You’ll be surprised how amicable the meeting was,” he said afterward. Al-Naimi is backed up by a June 2 report from Barclays that OPEC had reclaimed an average market share of 33 percent in April, up by 1 percentage point from the same month last year, in part because of increased sales to China. But the Saudi strategy still has a distance to go before success is complete. Barclays said the organization’s market share remains 35 percent below where it was in mid-2012. Despite the production ceiling, OPEC members have collectively been overproducing by about 1 million barrels per day. In a statement, the cartel urged members “to adhere to” the cap, and Secretary General Abdullah al-Badri said they should “abide with that 30 million.” But he conceded that OPEC’s member states should regard their individual limits as “indicators,” not rigid quotas. Iran and Libya also appear to take that approach. Iran has been signaling confidence that it may soon be free of Western sanctions imposed because of its nuclear program, and hopes to increase output by 1 million barrels per day. Iran’s oil minister, Bijan Zanganeh, had hoped to persuade OPEC’s members to reduce production enough to allow for this new source of oil, but instead passed up the opportunity. As for Libya, although it is beset by civil war, it has signaled that it is ready to double its own oil production to 1 million barrels per day by September if it can manage to open its seaports to unfettered shipping. But so far it hasn’t been able to keep these facilities operating. The oil-production ceiling wasn’t the only item on the agenda at the OPEC meeting. Indonesian Energy Minister Sudirman Said issued a statement saying the group had agreed to allow it to rejoin the organization, thanks especially to the support of Saudi Arabia, its most influential member. “The Saudi Arabian government delegation appreciate and fully support the decision of the Indonesian government to become an OPEC member again, because Indonesia is one of the founders of OPEC,” the statement said.